Experts confirm that coal-fired power plant must ensure environmental protection. Việt Nam has 25 coal power plants operating commercially. At present, all 25 coal power plants have installed suspended particulate matter systems using CORONA technology. Our agency has applied many measures, including the legal framework towards revising of the 2014 Environmental Law on the development of environmental technology and standards. However, the quality of the flying dust and coal ash from Vietnamese coal plants is not high. Việt Nam is fast becoming an attractive investment destination for Chinese enterprises. China has been Việt Nam’s biggest trade partner since 2004, and bilateral trade has been continuing its strong growth. China is currently Việt Nam’s second largest export market after the United States. It is China’s fifth largest export market and ninth largest import market. According to the Ministry of Industry and Trade, Việt Nam–China trade turnover reached $106.7 billion last year, up 13.5 per cent compared to 2017. China has been Việt Nam’s biggest trade partner since 2004, and bilateral trade has been continuing its strong growth. China is currently Việt Nam’s second largest export market after the United States. It is China’s fifth largest export market and ninth largest import market. According to the Ministry of Industry and Trade, Việt Nam–China trade turnover reached $106.7 billion last year, up 13.5 per cent compared to 2017. China is the main export market for Việt Nam’s agricultural and aquatic products. The Deputy PM, also Chairman of National Traffic Safety Committee, was speaking at a meeting to review traffic safety in the first quarter of the year and set tasks for the second quarter. Speaking at the meeting, the Deputy Prime Minister said the number of traffic accidents during the Lunar New Year holidays decreased significantly this year. 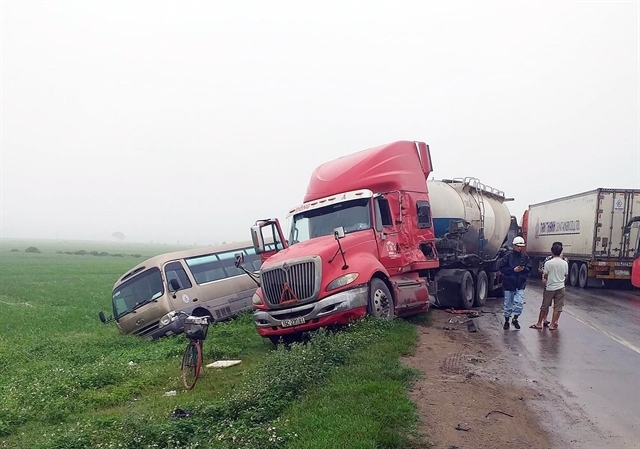 There were 4,030 traffic accidents nationwide in the period, killing 1,905 people and injuring 3,141 others. A leader of the HCM City People's Committee said health check-ups for drivers working in transport businesses were being carried out. The committee will continue to set up inspection teams in localities that had high levels of traffic accidents in the first quarter. Thursday's news conference will be the first time President Emmanuel Macron address the French media, without standing alongside a foreign dignitary. – AFP/VNA PhotoPARIS – French President Emmanuel Macron will unveil his long-awaited response to nearly six months of humiliating street protests today as he lays out reform plans that could prove decisive for his political future. Macron swept to power in 2017 on hopes he would be a youthful breath of fresh air for France. And a day later, someone leaked the entire text of his reform plan speech to the media. 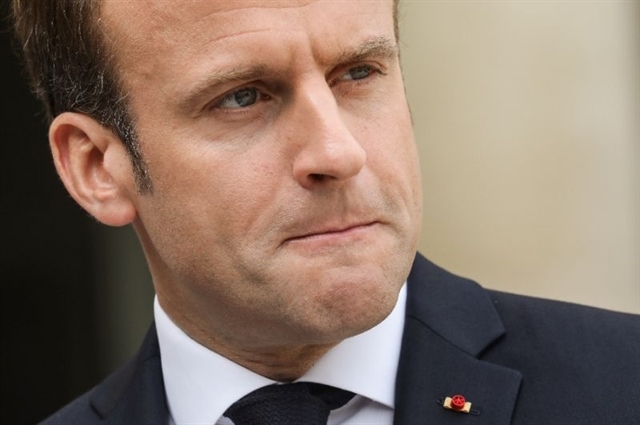 "This is an unprecedented exercise for Emmanuel Macron, who has been inclined to short-circuit traditional media, preferring a locked up communication carried out via social media," Le Parisien newspaper said. Six of the 12 projects are in the transport sector, with the biggest being a 15km road in Nhơn Trạch District worth $235 million. 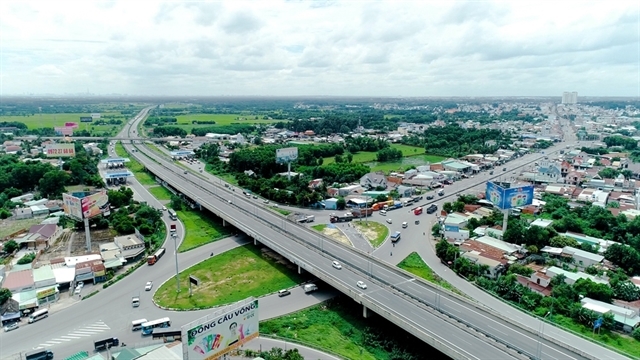 Đồng Nai has attracted more than $373 million in 38 foreign direct investment (FDI) projects as of the end of March, of which $152.6 million was registered in 18 new FDI projects and $220.5 million was added to 20 existing projects. According to the provincial Department of Planning and Investment, most of the projects are in the high-tech and environmentally friendly support industry. The province has been home to 1,901 FDI projects with a total registered capital of $34.1 billion. Of them, 1,400 projects worth $28.9 billion are operational. Shares of Thành Thành Công Tourist JSC (VNG) and Superdong Fast Ferry Kiên Giang JSC (SKG) were also favoured by investors. Their share prices increased by between 20 and 30 per cent in the peak season. There are 19 tourist companies listed on official and unofficial stock exchanges in Việt Nam. While the prospects for tourism stocks are bright in general, many of them have not received much attention from investors. Market analysts have said the low liquidity can be attributed to the fact that most listed tourism companies are small- and medium-sized enterprises with volatile business performance. People flock to Đầm Sen Water Park in HCM City during the summer. — Photo dantri.com.vnHÀ NỘI – Summer is the peak season for tourist companies and high sales and dividend rates are expected to drive tourism shares up in the coming months. Shares of Thành Thành Công Tourist JSC (VNG) and Superdong Fast Ferry Kiên Giang JSC (SKG) were also favoured by investors. There are 19 tourist companies listed on official and unofficial stock exchanges in Việt Nam. Market analysts have said the low liquidity can be attributed to the fact that most listed tourism companies are small- and medium-sized enterprises with volatile business performance. A shortage of experts, failure of educational facilities and equipment to meet demand and old training curriculums are obstacles to the engagement of business in vocational training and education, Thành said. The Labour Code only regulates the role of enterprises in establishing vocational training institutes or organising training for their employees, but ignores many other aspects, she said. A mechanism that institutionalises the co-operation with the business sector should be jointly developed to suit Vietnamese conditions, she said. 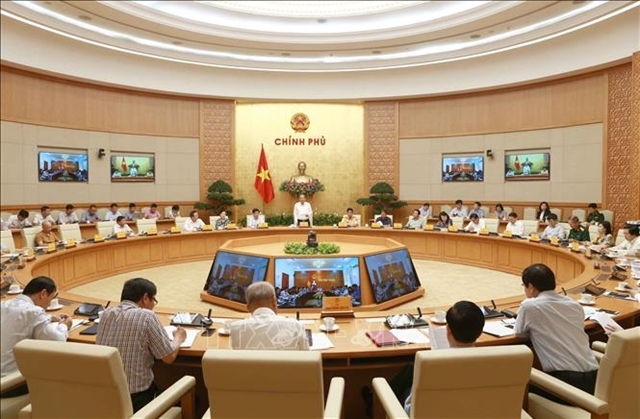 Ninh said to strengthen the connection between industry and vocational training, there should be alignment between laws, regulations and other legal documents. Amendments related to vocational education are expected to facilitate and provide opportunities for employees to get training and improve their occupational skills. The Department of Trade Protection under the MoIT said the investigation was initiated based on requests submitted by four domestic MDF producers on October 18, 2018. 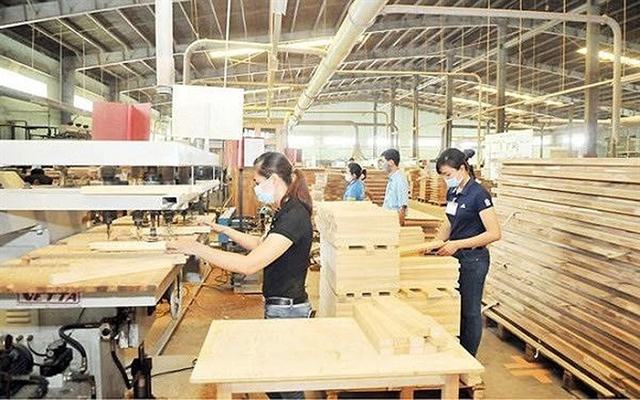 VRG Kiên Giang MDF JSC, VRG Dongwha MDF JSC, VRG Quảng Trị MDF JSC and Kim Tín MDF JSC submitted the requests, claiming industrial wood board products imported from Thailand and Malaysia were dumped in the Vietnamese market at a margin of 18.59 per cent to 50.6 per cent. The ministry will also verify information provided by relevant parties before issuing its conclusions. Public consultation will be arranged, making it easier for relevant parties to provide information and express their views. 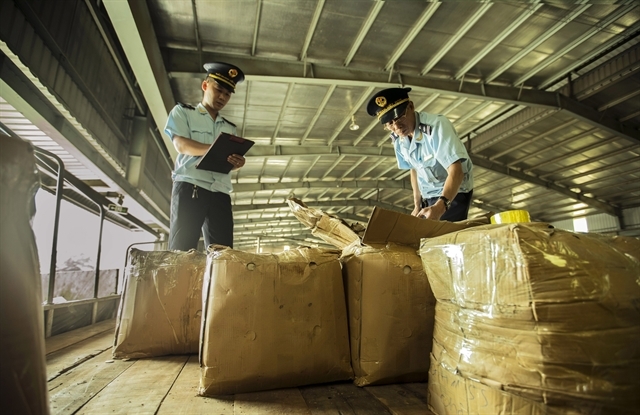 The ministry has recommended all organisations and individuals that are importing, exporting, distributing and using the investigated goods provide information to protect their rights and interests. 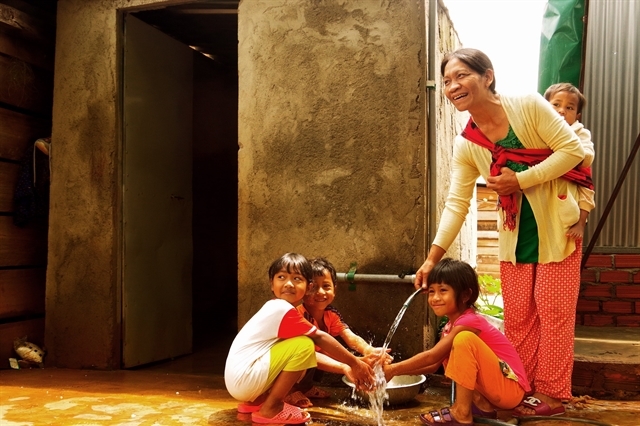 Households living in the resettlement area still used water provided Đắk Nông Urban Development and Water Supply Joint Stock Company. 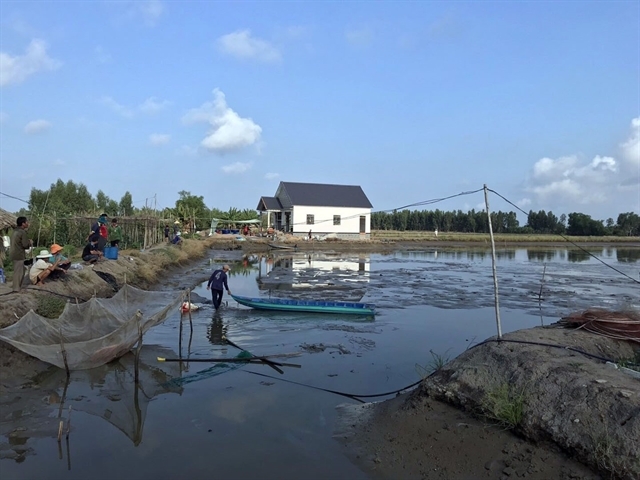 “The clean water supply project was built closely to my house but we cannot access fresh water,” H’Duyên, a local resident said. “We have required localities to review and re-evaluated the status of clean water supply facilities in the whole province for repair. 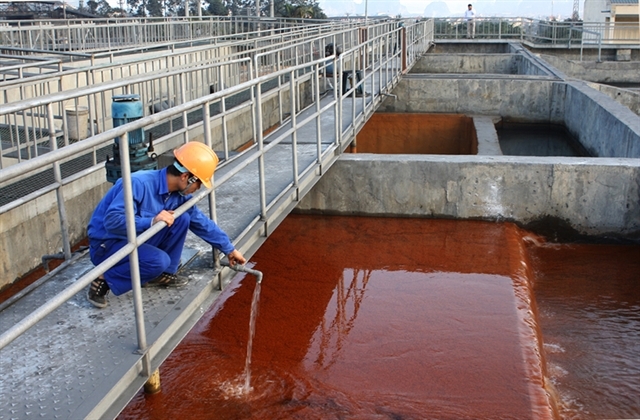 In Đắk Lắk Province, of the 168 clean water supply projects costing VNĐ400 billion, there are 51 that have been abandoned. “Each village sent people to learn how the operate the water supply systems and we had used this water for a short time.